Upgrading your shocks is a big commitment. Finding the correct sizes and fitments can be tedious. We have put some shock packages together so you can find what you are looking for in one easy click. Shock absorber's for OE replacement and high performance applications. King Racing Shocks charking manifold with valve and gauge. Fox 2.0 Performance Series IFP smooth body shocks contain the latest in shock technology to transform the performance of your Truck or SUV. Fox 2.0 Performance Series IFP smooth body shocks contain the latest in shock technology to transform the performance of your Truck or SUV. 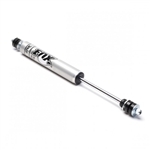 The Fox 985-24-023 2.0 Performance Series IFP Shock Absorber contain the latest in shock technology for your 94-13 Ram 4WD Pickup to transform the performance of your Truck Our Super Duty Starter System was engineering and developed to deliver a 4.5" Super Duty Lift, with massive gains in ride quality and comfort. Our Super Duty Starter System was engineering and developed to deliver a 4.5" Super Duty Lift, with massive gains in ride quality and comfort.